Faro East just received a cancellation for February 4-18, 2011. 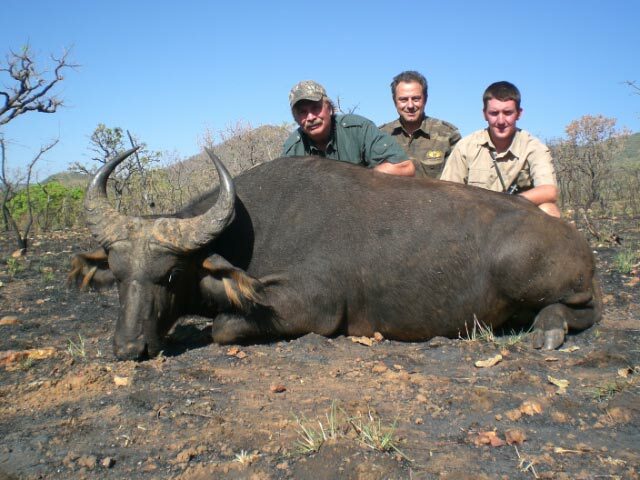 You may hunt Lord Derby Eland, Western Roan, and 4 Class B species for only 18,900 Euros (regularly 27,000 Euros). Or bring a friend and you can split the following for only 12,900 Euros each: Lord Derby Eland, Western Roan, West African Savanna Buffalo, Elephant and the Class B species. Faro East is always 100% on LDE, Roan, and Buffalo, and they are over-run with Elephant (which cannot be imported to the U.S.). Ken has been authorized to book several hunts on this 12,000 acre consortium of ranches for 2011 for the same price of only $8,500 (and this price includes the non-resident tag fee of $1,172.50!!). You can reserve your slot during prime time (July 15 - September 30) with a deposit of only 25% ($2,125). 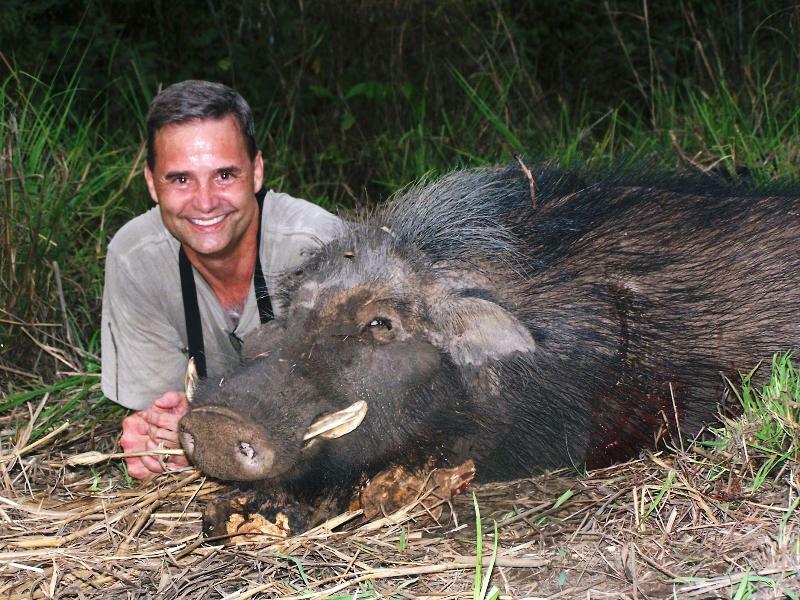 Two days of Wild Pig hunting can be added for only $500. GREAT OPPORTUNITIES IN THE C.A.R. The C.A.R. is expensive; especially when you add charter costs and dip-pack-ship to your daily rate x 14-21 days. 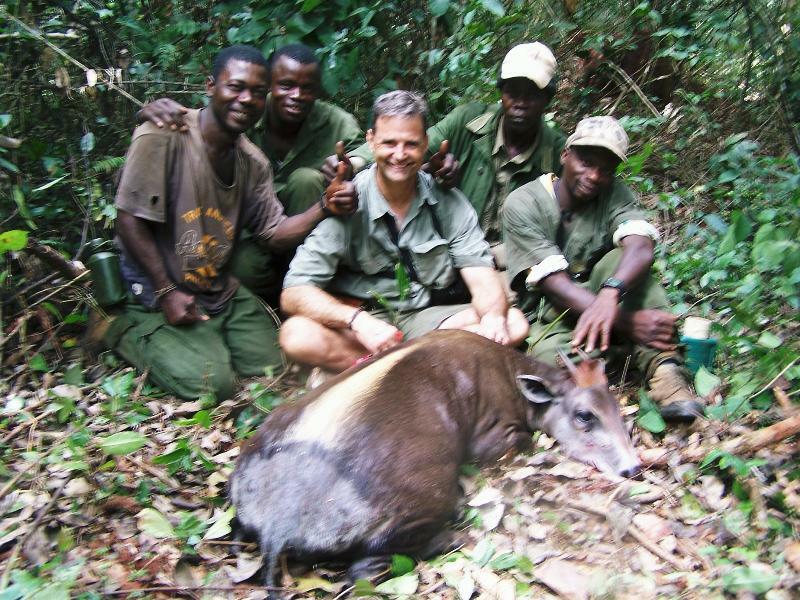 But how about this for a deal if you want a Giant Forest Hog, Yellow-Back Duiker, and Dwarf Forest Buffalo??? ... March 31 - April 7, 2011 for 9,500 Euros including daily rate, charter fees, and dip-pack-ship. Thirteen species on license and, if you can walk and shoot, you should be able to kill 4-5 trophies. This 1x1 or 2x2 opportunity is available because of a gap between two major safaris booked with Central African Wildlife Adventures. John Colglazier booked such a gap hunt and shot several great trophies. Now is the time to secure your dates for 2011 because many months are already fully booked (May-June and September-November are still available). 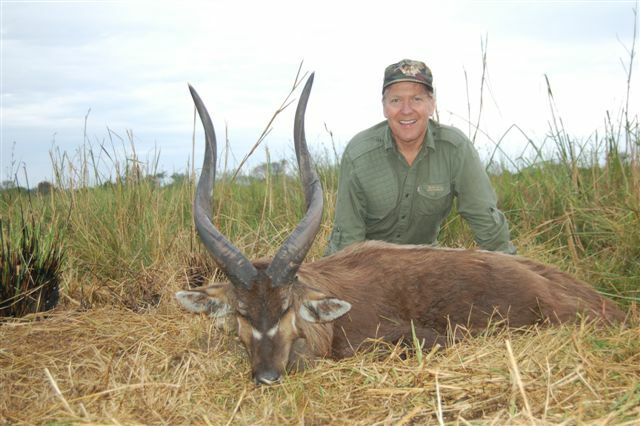 Quotas are still available for Nile Buffalo, East African Sitatunga, Uganda Kob, Nile Bushbuck, East African Bush Duiker, Oribi, Jackson's Hartebeest, Uganda Defassa Waterbuck, and many more. For 2011, a 12-day safari is only $15,750, 1x1. Make your deposit before the conventions and get the dates you want.